Does the Nunes Memo Reveal That There Was an Actual Russian Agent On the Trump Campaign? Republicans (and Russian bots) have been pushing to #releasethememo under the assumption that it will vindicate Trump and undercut the FBI. But if reports about the memo’s contents are accurate, it may do the exact opposite, showing that there was a likely Russian agent on the Trump campaign. How? Trump’s defenders in Congress have spent the last year drumming up conspiracy theories that crumble under the least bit of scrutiny – this is no different. With the memo, House Republicans clearly intended to further a counter-narrative that a liberal FBI used one opposition research dossier to justify surveilling a Trump advisor. To try to prove this, Nunes cherry-picked information from subpoenaed DOJ documents. So if you read the memo without any context (as many of its cheerleaders in the House lack) its release may seem to help the president. FISA surveillance of a Trump advisor? Abuse! …but read between the lines: You can only renew a FISA warrant if it is delivering the goods. 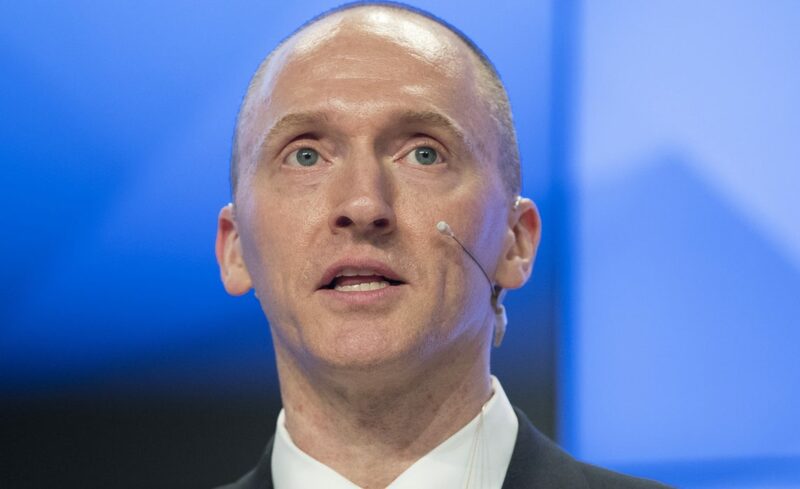 The NYT memo story revealed that a FISA warrant to surveil Carter Page was renewed at least twice. That means the DOJ had evidence from 2016 and 2017 intercepts of Carter Page’s communications that show he likely was a Russian agent. To get those renewals, DOJ had to certify to the FISA Court that the actual intercepts it was getting revealed information that supported the original assessment that he was likely conducting clandestine intelligence activities on behalf of Russia. The Steele dossier didn’t tell the FBI about Carter Page; the Russians did – in 2013. Nunes’ memo may also try to claim that U.S. law enforcement sought a FISA warrant on Page because he was named in the Steele dossier. But the dossier didn’t alert the FBI to Carter Page; the Russians did, when two spies were recorded talking about their efforts to recruit Page in 2013. The FBI reportedly even had a FISA warrant in 2014 – two years before the dossier. January 2013: Carter Page meets with Russian intelligence operative Victor Podobnyy in New York. June 2013: FBI counterintelligence agents interview Page about his contacts with Podobnyy and other Russian intelligence operatives. Summer 2014: the Justice Department obtains a secret intelligence surveillance warrant to monitor Page’s communications. Summer 2016: the FBI obtains a secret intelligence surveillance warrant to monitor Page’s communications. Fall 2016: The FBI begins conducting surveillance shortly after Page leaves the campaign in September. Spring 2017: Trump appointee Rod Rosenstein approves an application to renew surveillance on Carter Page. Page was no low-level volunteer; despite initial Trump team denials, he often met with high-ranking campaign officials and foreign government officials. Although former Trump campaign manager Corey Lewandowski originally described Page as a “low-level volunteer,” he later reversed his position, saying his memory had “been refreshed” about Page’s role on the campaign. On March 21 2016, Trump himself announced in an interview that Page would join the campaign’s foreign policy team. Page was reportedly vetted by Sam Clovis, who recently withdrew from consideration for an administration appointment due to his involvement in George Papadopoulos’ efforts to arrange a meeting between the Trump campaign and Russian officials. Page met with then-Russian ambassador Sergei Kislyak during the Republican National Convention in Cleveland (as did Jeff Sessions). Page met with Russian Deputy Prime Minister Arkady Dvorkovich during a July 2016 Moscow trip. He also “spoke with Andrey Baranov, Rosneft’s head of investor relations.” He informed numerous Trump team officials, including Jeff Sessions, Hope Hicks, JD Gordon, Corey Lewandowski, and Sam Clovis, about the trip.